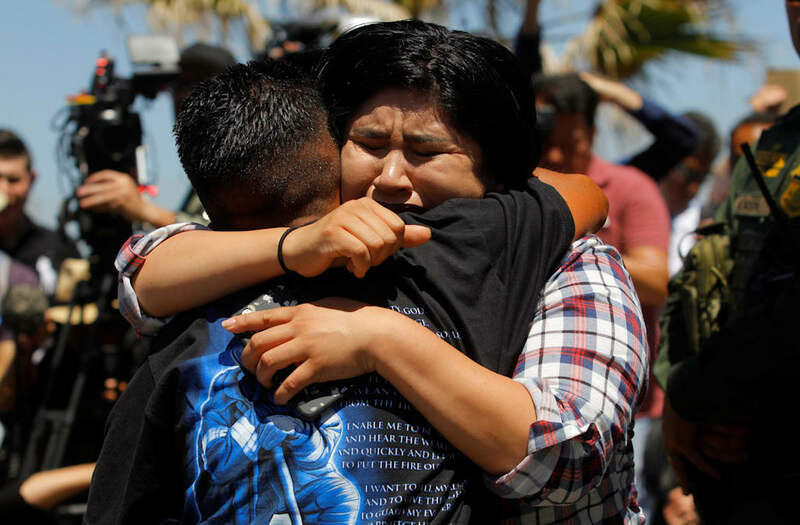 A fundraiser organized on Facebook to help immigrant families separated at the border has raised millions of dollars in three days. By Tuesday morning, more than 100,000 people, including Facebook CEO Mark Zuckerberg and COO Sheryl Sandberg, had donated more than $4 million to the “Reunite an immigrant parent with their child” fundraiser, started by Bay Area couple Dave and Charlotte Willner over the weekend with an initial goal of raising $1,500. The recipient of the funds, the Refugee and Immigrant Center for Education and Legal Services (RAICES), was overwhelmed by the support, tweeting that they’re experiencing more donations than ever before, even causing their website to crash. RAICES is a Texas immigration legal services provider that plans to use the proceeds to directly fund the bond payments that allow parents to be removed from detention while they wait for court proceedings as well as legal representation for children in Texan immigration courts. “We are collectively revulsed at what’s happening to immigrant families on our southern border,” the fundraiser page said, referencing the news that almost 2,000 immigrant children have been separated from their parents since the Trump administration’s “zero tolerance” policy kicked off last month. “It’s clearly resonating with a lot of people, and we’re just glad we could help,” Charlotte Willner told USA TODAY. A chorus of voices nationwide, including those of many Republicans, are rising up in opposition to the policy. Launched last month, it seeks to prosecute more immigrants entering the country illegally, even if it means separating children from their parents.